China has launched the second phase of its overhaul of the country’s opaque power grid, announcing a major audit of involved companies in a bid to shed light on the true cost of electricity transmission and pass savings on to industries facing fierce economic headwinds. The country’s top economic planner, the National Development and Reform Commission (NDRC), has ordered 34 provincial-level and five major regional power grids to submit their accounts ahead of audits and inspections that are set to commence in March, it revealed this week. The audit aims to create a more accurate picture of the price differential of how much grids pay electricity producers and how much they then charge users in order “to improve management and efficiency,” the NDRC explained in a note. The audit area effectively covers power grids run by subsidiaries of the state monopoly State Grid Corp. of China, the world’s second largest company by revenue, and excludes the five southern provinces, which are run by China Southern Power Grid Co. Ltd., and the Tibet autonomous region. The audit opens the second phase of major electricity pricing reforms that began in 2015 and should pave the way for greater marketization of the sector, lowering costs across an economy increasingly squeezed by adverse economic conditions, analysts say. Before the first phase of reforms, grid companies could charge high prices for electricity despite China’s electricity supply glut, essentially profiting by buying cheaply from power producers before selling it at a markup. Power grids have benefited from a lack of transparency across the system made worse by regulation of the sector largely being split along the local, provincial and central government level. “How much had been spent on transmission and distribution assets remain a mystery to the government,” explained Frank Yu, a principal analyst at consultancy Wood Mackenzie. In a bid to boost efficiency, the government began reviews of tariffs charged by grid operations and looked to increase the share of electricity sold through market-based mechanisms such as direct sales and centralized auctions. “The review cut unreasonable cost items and therefore overall transmission tariffs were reduced,” while “each provincial grid has announced its transmission tariff structure for market players to refer to,” Yu said. 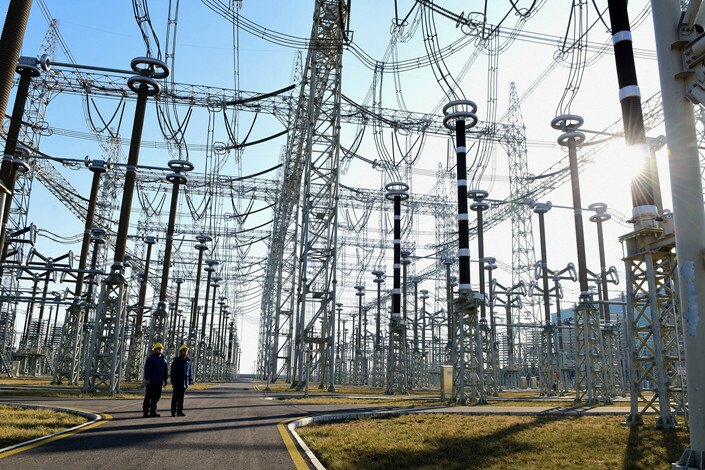 The first phase of reforms led to 40% of electricity being sold on the market last year, with an earlier round of audits reducing unreasonable expenses by 128.4 billion yuan ($19.5 billion), according to the NDRC. Yet further reform is needed because “there is still a big gap compared with the scientific, standardized and institutionalized requirements of government price and cost supervision,” it said. While a positive step, the reforms have created a new set of problems, explained an industry insider who spoke on condition of anonymity. In some instances, local entities have forced power generators to sell power on the nascent energy market at a cheaper price than what they would otherwise receive from the government through its mandated prices. This led some generators to resist reform as “the opportunity cost of leaving the state rate to ‘market’ rates was really only creating a loss,” the insider said. Greater transparency across the system should help to alleviate such teething issues and allow regulators to better incentivize sellers to use the power market, he added. The audit and further reforms are also expected to benefit renewable power generators, analysts say. China is a world leader in green technology, with renewables accounting for two-thirds of newly installed power capacity last year. Yet under the current system, grid operators pay as much for electricity from renewables as they do for that sourced from coal-fired plants, meaning that the cheaper generation cost of renewables is not being passed on to users. “The lower cost of trading electricity will promote the electricity trading market, which is good for the development of renewable energy in the long term,” said Kai Zhang, project manager for Climate & Energy and Green Finance at Greenpeace East Asia. For all the benefits in transparency, analysts said that slowing growth is adding particular urgency to efforts to push on with electricity market reforms. While China’s gross domestic product (GDP) fell to 6.6% last year, down 0.2 percentage points from 2017, electricity consumption surged to 6.84 trillion kilowatt-hours in 2018, up 8.5% year-on-year. Given slowing growth and greater uncertainty from the U.S.-China trade war, “cutting energy costs is key to cushioning the negative impact on the economy, especially on energy intensive industries,” said Wood Mackenzie’s Yu.